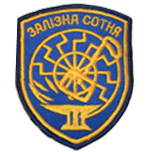 Azov originated from Biletsky’s national organization Patriot of Ukraine. 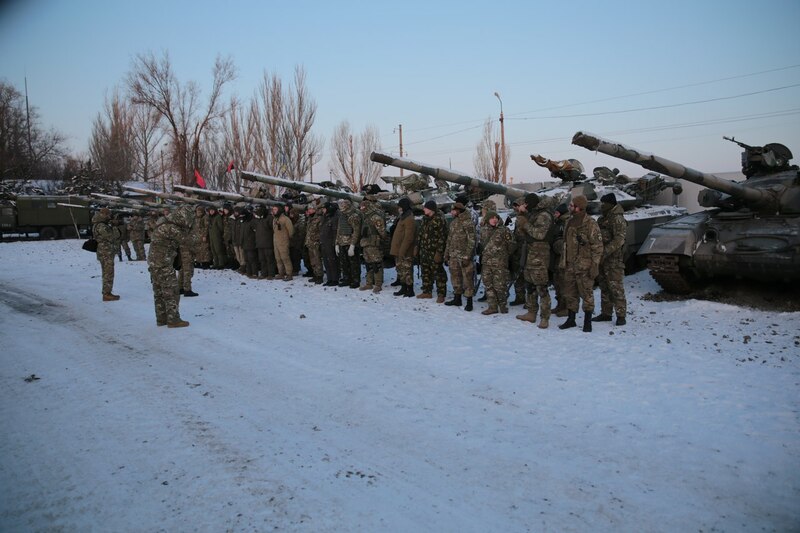 Its members participated in EuroMaidan and many of them joined the volunteer battalion. 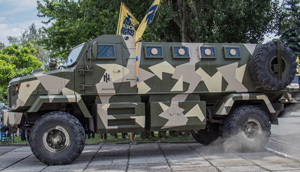 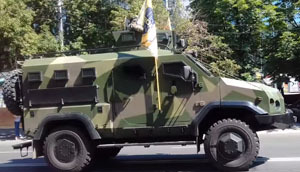 The unit was also supported by members of Automaidan and ultras of FC Metalist Kharkiv. 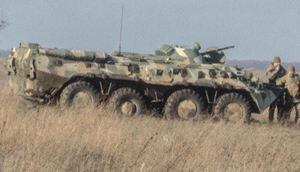 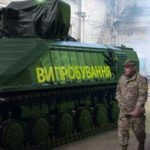 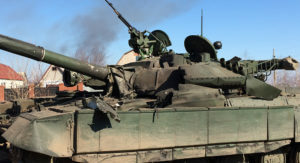 The unit was reformed into a regiment in late 2014 and received military equipment from the government of Ukraine, including T-64B1M tanks, D-30 artillery, and various LAVs. 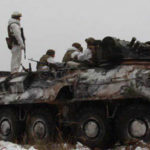 The battalion had originally four companies but as result of expansion in October, the second battalion was formed and the number of companies reduced to three. 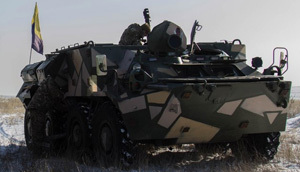 The company regularly attends training. 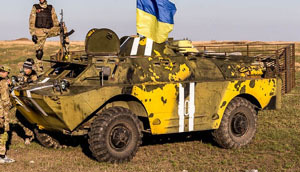 Their history is unknown. 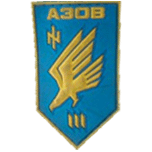 There is no info about the 2nd company of the first battalion. 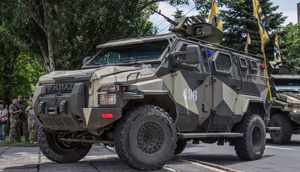 The third company was deployed to Odesa in 2016. 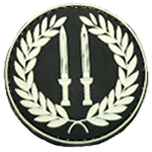 The unit has five platoons. 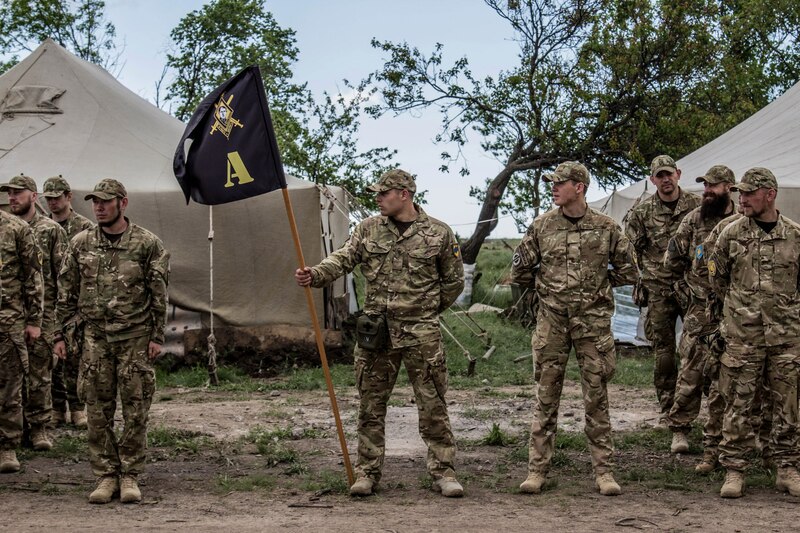 The newest battalion of Azov Regiment. 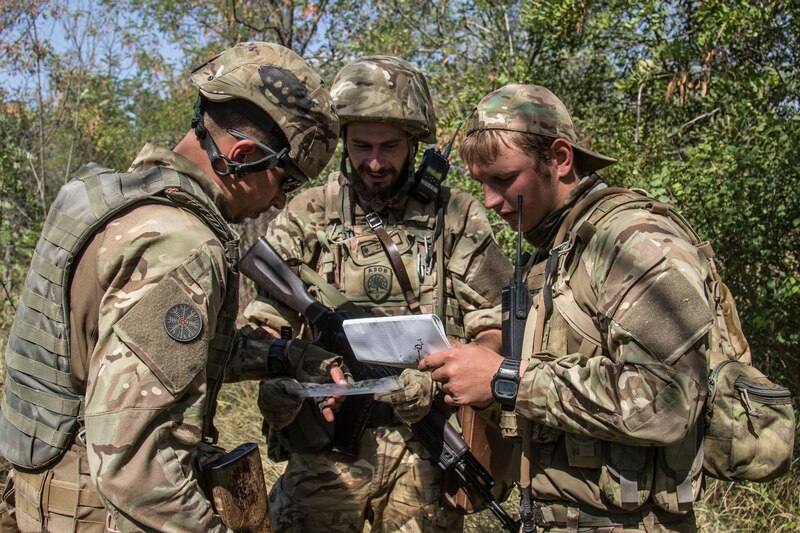 The battalion underwent special training conducted by Georgian, Canadian and American instructors. 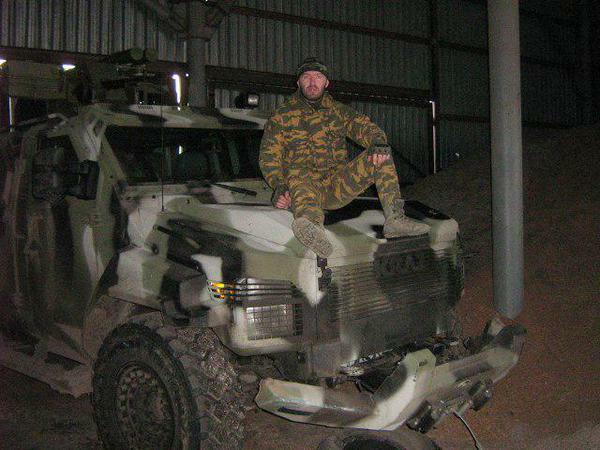 The commander of the battalion is a soldier nicknamed Kirt. 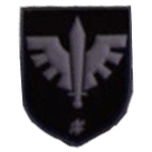 Originally part of the Tank Battalion but later reformed into a standalone unit and moved to the second battalion as first company. 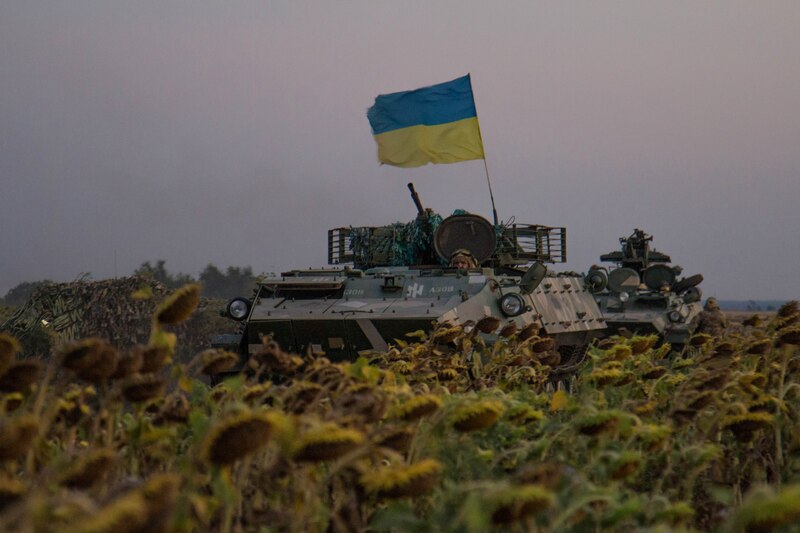 The “Iron Hundred” led the offensive on Shyrokine and nearby areas. 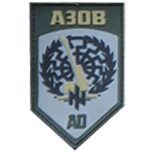 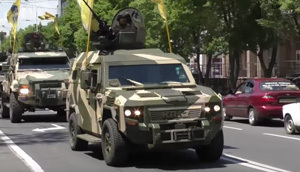 Many members are part of the Azov since 2014. 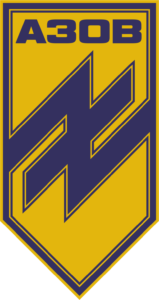 A formerly 4th company. 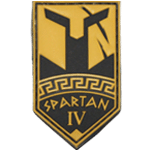 The cadets underwent a special training and call themselves as “Spartans”. 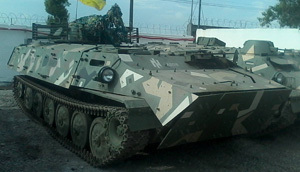 The company is equipped with T-64B1M tanks and recovery vehicles. 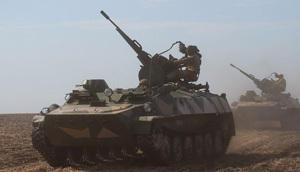 Division equipped with heavy D-30 artillery and 120mm mortars. 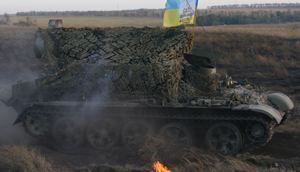 It’s unclear if there is just one mortar division or more and divided into battalions. 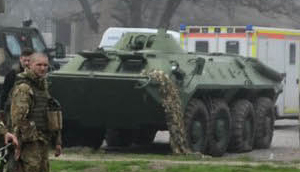 The regiment began its operations in pure black uniforms, mainly seen in Mariupol and Torez. 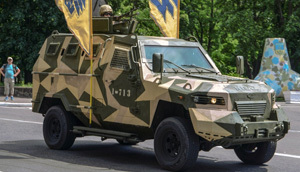 The black colour did not perform well in outside the towns and Azov’s leadership decided to change the uniforms to Flecktarn. 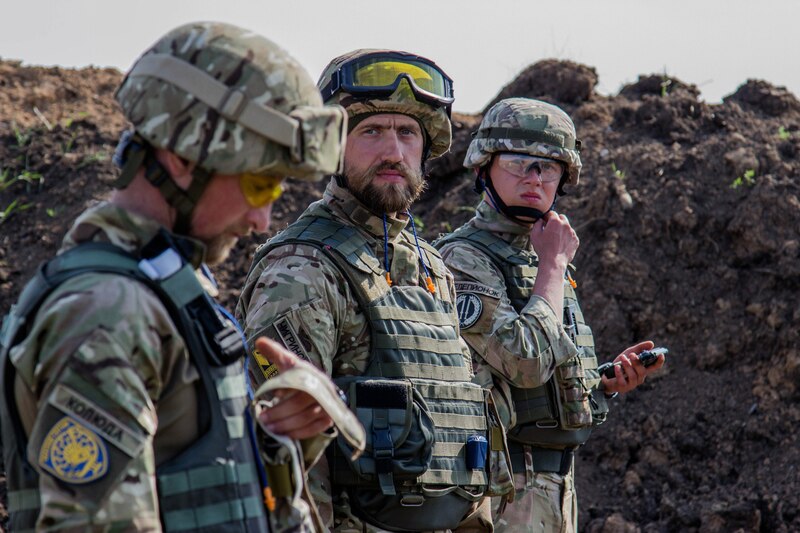 The uniform was used commonly during operations in 2014 and during 2015 was slowly replaced by Multicam. 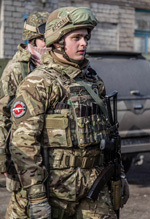 Some units, however, kept the uniform, mainly reservist and some veterans. 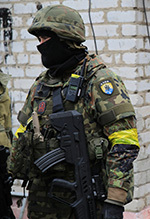 The battalion decided to unite uniforms in order to get a more professional look. Locally made Multicam was selected and all frontline units received this camo. 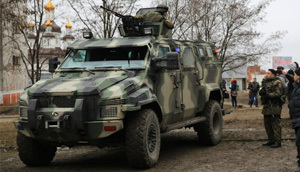 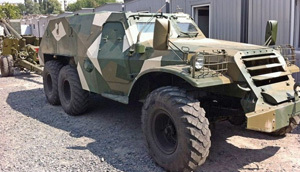 Most vehicles use unified camouflage but some still have not been painted yet and use either standard National Guard camouflage or a custom one. 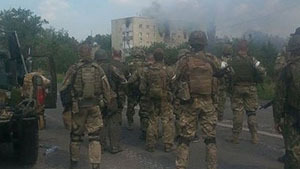 Militants captured governmental offices and forced local National Guard units to leave the city. 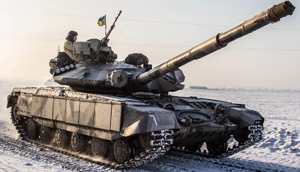 After a week, Ukrainian Army in a joint operation with volunteer battalions forced militants to flee the city. 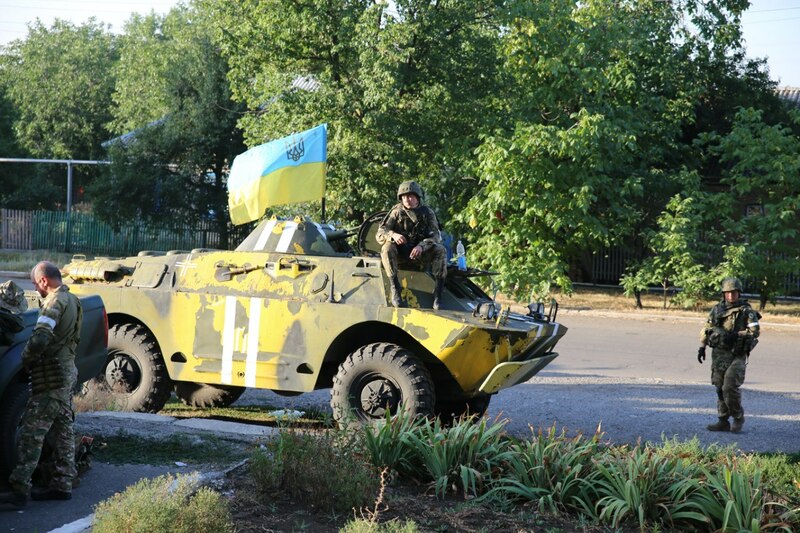 Members of Azov Battalion secured Torez’s city council but didn’t have enough manpower to hold the area. 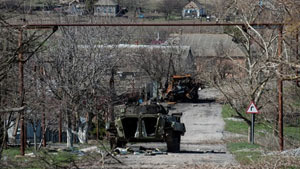 Militants set up checkpoints in the area and the unit was forced to retreat. 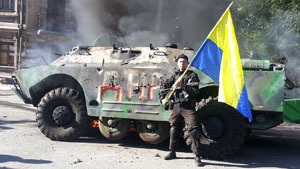 The combined operation of Armed Forces and volunteer battalions to liberate the city. After several days of minor clashes, militants were forced to retreat to nearby Donetsk. 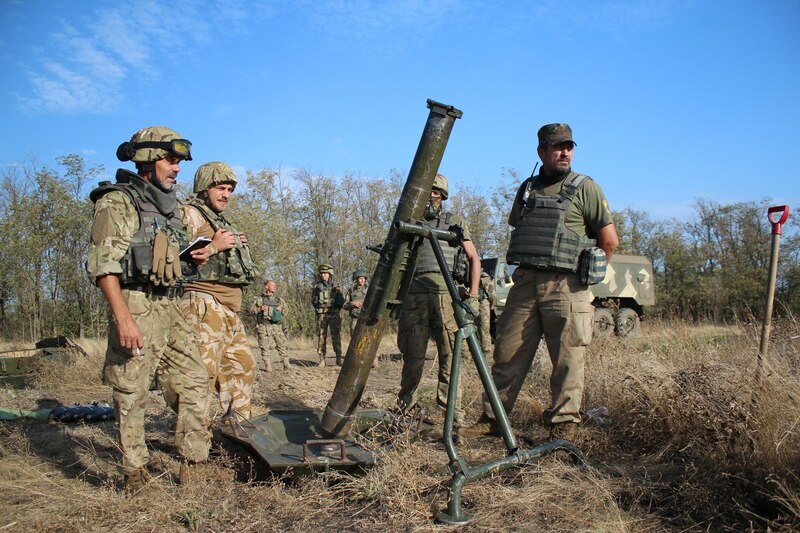 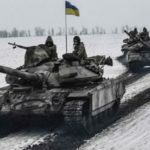 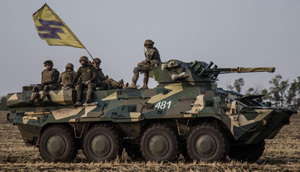 Initially successful large-scale operation to liberate strategically important train crossroad ceased when Russian regular forces crossed the border into Ukraine and encircled Ukrainian forces there. 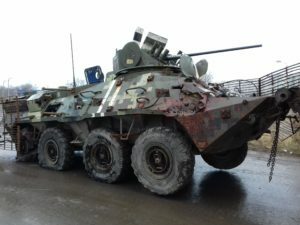 BTR-3E1 n/a Battle of Shyrokyne 2015 Destroyed Destroyed during the offensive inside Shyrokyne village and used as propaganda material on Russian media. Recovered by Ukrainian Army in 2017. 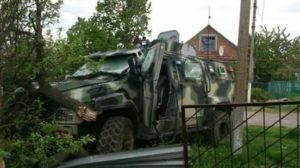 Kraz Spartan n/a Battle of Shyrokyne 2015 Damaged Heavily damaged during the battle of Shyrokyne in 2015, crew died inside. 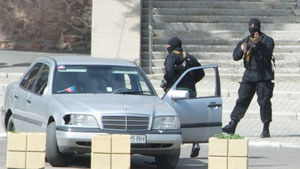 The vehicle was recovered by Right Sector later the same year. 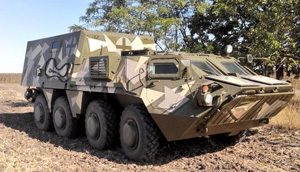 Kraz Spartan Sarmat n/a Battle of Shyrokyne 2015 Abandoned The LAV was left behind during counter-offensive by Russian forces. 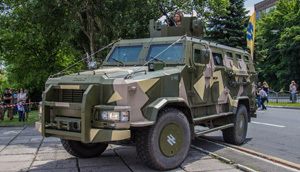 It was first Kraz Spartan captured.